The program Under Garuda’s Wings is the limited continuation of the program Tears of Indra but focused on the humanitarian aid to only the very poor, old, sick and disabled in the sub-district and vicinity. The remaining funds of Tears of Indra are transferred to this program and this website has the only function to inform the donors what exactly happened to their donations. 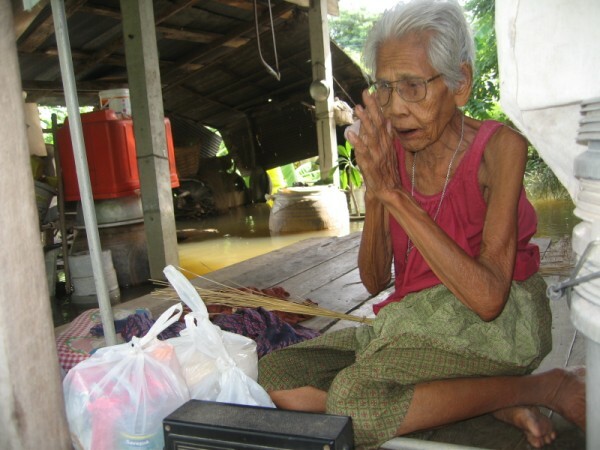 During the flooding in 2011, in which Tears of Indra provided help to the Thai population in distress, we located a number of people in the sub-district who belong to the most vulnerable class of the Thai society. With the remaining funds of Tears of Indra we try to alleviate their suffering. UGW visited all the poor, sick and disabled accompanied by the local doctor in the sub-district. We logged twenty (20) people in December 2011. These people are listed here. In general the needs are the following: rice, dry food, nutrition powder, diapers and soy milk; sometimes medicines and drinking water next to some other goods as cloths, mattresses etc. UGW will visit all the listed people at least once a month to look into their condition and to provide in their requirements in order to offer a bit of relief. Initially we estimated that with the remaining donations of Tears of Indra we could support these people for about six months in 2012 but we could reach the end of the year and still have funds left. We continue as thus the program for the next few months. After the funds have dried out, this program will cease to exist. The Garudas are a race of enormous birds. They are large enough to block out the sun and are devoted to be the bearer of the Hindu God Vishnu. The Garudas combine the characteristics of animals and divine beings and are considered to be among the lowest deities. The wings of the god-bird are said to have a span of many miles. When the Garuda flaps his wings, the massive bird creates hurricane-like winds that darken the sky and blow down the houses. 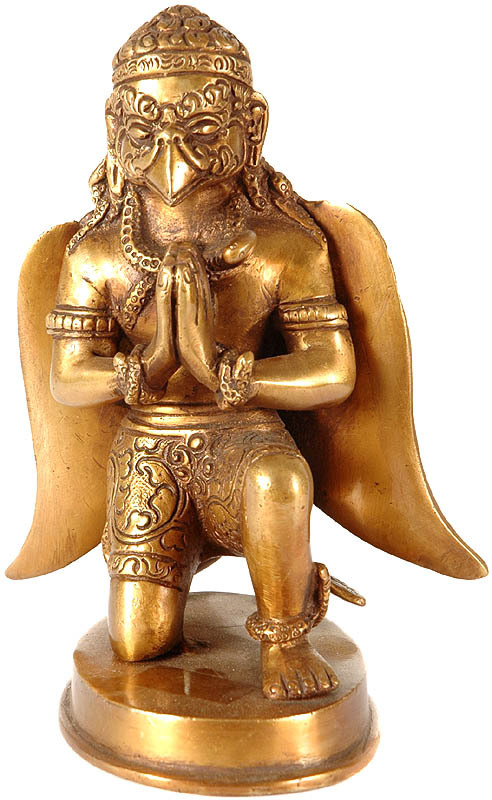 Symbol of mighty force and remover of obstacles, the weak find protection under its giant wings.